Over 34 years, SofterWare has grown from a small entrepreneurial business to a $35 million+ company with over 10,000 nonprofit, childcare, camp, school, and payment processing clients. We credit our longevity and success to our team's dedication to providing complete customer satisfaction through outstanding products and services. 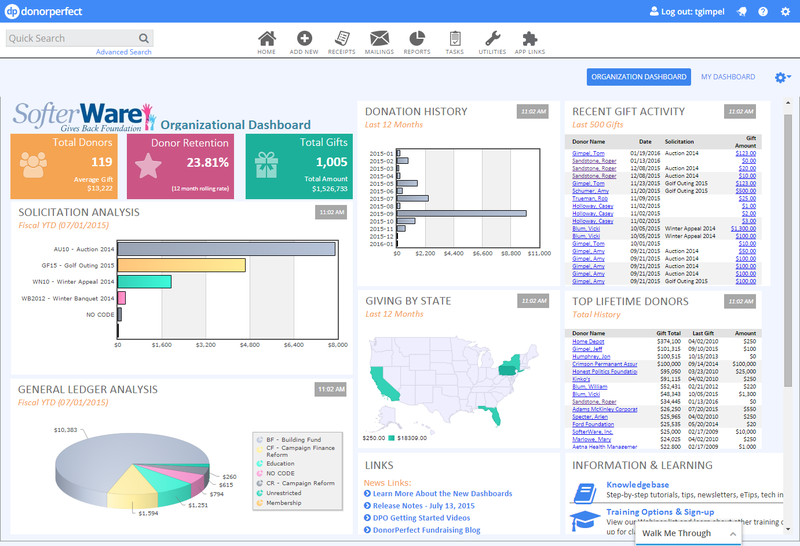 DonorPerfect Fundraising Software takes the hassle out of time-stealing administrative tasks, so nonprofits can focus on furthering their missions and raising more funds. Offering flexible, integrated solutions tailored to nonprofits’ needs, we create software that simplifies the way nonprofits manage constituent data and fundraise. Exago’s reporting solution provides the robustness and flexibility we need to help us realize our vision..